TMS IDE Plugin Pack offers 4 free plugins for RAD Studio 10.1 Berlin integrated in the Delphi & C++Builder IDE. 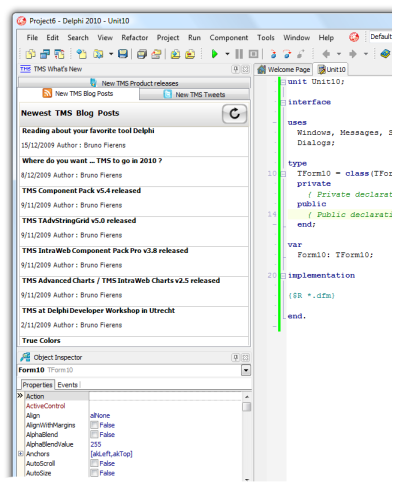 IDE plugin to keep current with the latest releases, blogs & tweets from TMS software. IDE plugin to easily ZIP and upload projects. 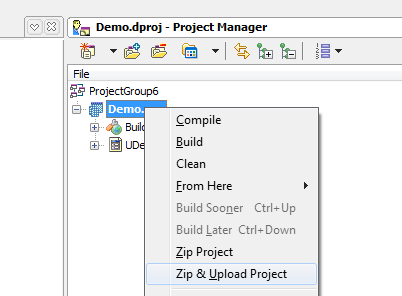 When installing the package, the project manager gets two new options: ZIP project and ZIP & upload project. The first option will traverse all files in the project and add this to ZIP file and open Windows Explorer in the project folder. The 2nd option will upload the ZIP file to a preset FTP server and put the link to the file on the clipboard. This link can then be pasted in the email to reply to the customer. IDE plugin to monitor clipboard, track clipboard history and to save & load code snippets for giving presentations with Delphi. IDE plugin to copy source code with syntax highlighting to the clipboard. 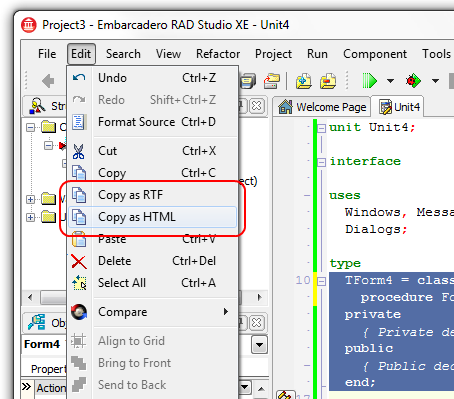 When installing the package, the IDE Edit menu gets two new items: "Copy as RTF" and Copy as "HTML". The editor context menu also gets these two new items added. 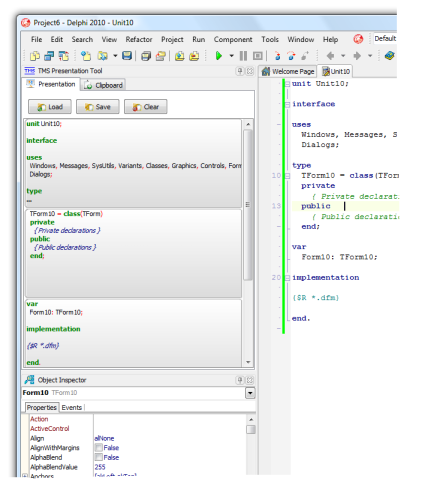 Selecting "Copy as RTF" will copy the selected source code in the editor with syntax highlighting as rich text to the clipboard and the text can be pasted for example in MS Word with all syntax highlighting applied. When selecting "Copy as HTML", the selected source code is copied as HTML formatted text with syntax highlighting to the clipboard and can for example be pasted in the browser and will be rendered with all syntax highlighting applied.